The world is full of fascinating and beautiful sounds, most of which are readily audible to anyone who chooses to listen. 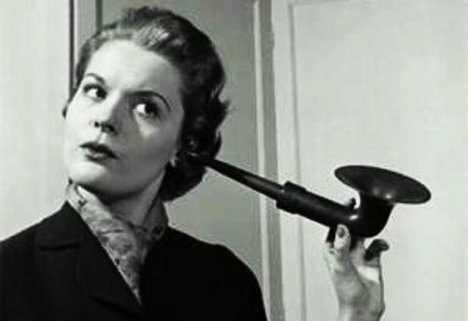 But a group of Swedish scientists is concerned with listening for the quietest possible sound in the universe. Known as a quantum phonon, this sound is the smallest possible deviation from silence and can only be detected with incredibly intricate instruments. This instrument, kind of like the world’s most sensitive mechanical ear, is known as a quantum microphone. 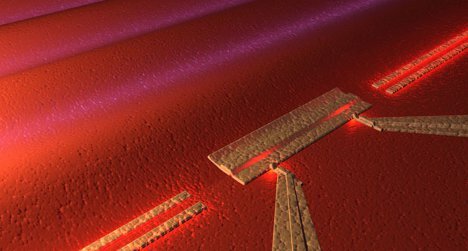 It’s built on a tiny semiconductor chip and – once it is refined enough – will be able to detect individual phonons. Why is this important? Quantum computers could one day process information with sound, so observing the phonon and seeing how it acts is an important step toward that goal. See more in Quantum Leaps or under Science. July, 2012.